This in depth report by Chris Vermaak on the Selous Scouts attempts to set the record straight before the event. Chris Vermaak is one of the most experienced and respected correspondents in Africa and has a long and deep knowledge of the turmoil's that have beset the continent over the last 20 years. The report on the Scouts we feel will surely prove to be of great interest to anyone interested in Terrorist activities. In any case of atrocity, there are those whose interest is served by publishing the facts, those who seek to prevent publicity being attracted to those facts, and those who seek to manipulate selected facts to shift the blame away from the guilty parties. Thus we find that a number of recent acts of ruthless violence in Rhodesia which were indeed committed by terrorists belonging either to the Nkomo or Mugabe wing of the so-called Patriotic Front have been consistently attributed to the Selous Scouts. The lie has been spread abroad by both Nkomo and Mugabe, perpetuated by a number of misguided church leaders, gullible journalists guided only by financial preferences and foreign deserters from the Rhodesian forces who should never have been allowed into the country in the first place. The underlying motive for these deliberate lies, completely divorced from proven facts, must seem obvious to those acquainted with terrorist and Marxist strategy - namely, the creation of an ever-increasing rift between the population and members of the armed forces, to neutralize the vital battle for the hearts and minds of people enmeshed by the war. To attempt division and dissension within the army itself. Predictably the Selous Scouts, Rhodesia's answer to terrorist infiltration, its most battle-hardened unit, has been selected for this dubious purpose. This superb band of men is being crucified almost daily as murderers and butchers of innocent people, baby-bashers, blood-crazed maniacs. As contemporary military correspondents we remember very well a not too distant parallel - the vilification of the crack Portuguese commando's who bore the brunt of the fighting in Mozambique and Angola. They fought well and died well. They were the victims of consistent Frelimo abuse, aimed at alienating them from the population and stigmatizing them as a band of ruthless killers, intent on systematic genocide. Frelimo's sustained campaign of hate and suspicion, fanned by the emergent Armed Forces Movement (AFM) ideology from Lisbon eventually paid off, to such an extent that the commando's were despised and ostracized by the thousands of dismal toy soldiers who never ventured near the front. Communist strategy seldom differs and another case in point concerns the German Battalion in former French Indochina. Consisting of men who escaped possible war crimes trials in Europe after World War II, they joined the French Foreign Legion and shot, bombed, tortured and bayoneted their way into the Viet Minh. Theirs was a war of reprisals and vicious counter-reprisals, of criminal violence on both sides, of outrages against humanity, of war at its rawest, cruelest and most gruesome. Stumped by veterans who gave even more than they received, the treacherous Viet Minh embarked on a systematic campaign of denigration, using the Communist press and some Western media. The French were rebuked for using their erstwhile enemies to further their "imperialistic designs" and henceforth the German Battalion ceased to exist. The "Battalion of the Damned" as they preferred to call themselves had lived exactly 1,243 days. during which it destroyed 7,466 guerillas by body count, 221 Viet Minh bases, supply dumps, and camps; it liberated 311 military and civilian prisoners from terrorist captivity and covered roughly 11,000 kilometers on foot. They lost 515 men - to them a very heavy loss indeed. The Viet Minh had scored a resounding victory, to be followed 700 days later by the tragedy of Dien Bien Phu, the ultimate French humiliation. When met by the ruthless Selous Scouts our people - men, women and children - are asked a few questions and shot.'' He claimed he could produce a witness - there was no sign of him - who could testify to a "particularly degenerate'' security force atrocity near the southern Botswana border. His story: ''Six women - three with babies on their backs - had identified themselves to members of the Selous Scouts before crossing the Shashi River. They had conspicuous front and back identity tags. When they walked down towards the river the three mothers were gunned down. They died, but not the babies on their backs. One of the Scouts asked: "What must we do with the babies?'' Others answered by slitting their throats with bayonets. They were buried in a common grave. A son who inquired after his mother was also shot. Freedom fighters are told not to molest civilians, to concentrate only on military targets. Our people are being killed in their hundreds by the Selous Scouts to make the people hate the freedom movement. The freedom fighters are under strict instruction not to touch civilians no matter what their color. These Scouts are beginning to kindle a bitterness in Zimbabwe towards the White people. The cutting of young children's throats and the shooting of women returning from their fields are beginning to have a cumulative effect on the minds of the people against the White people. If these atrocities do not cease, the Whites will be regarded as part and parcel of Smith. Sustained genocide by the Scouts will lead to a very serious rift between Whites and Blacks and it will reach a stage when my people won't distinguish between the guilty and the innocent. Only the totally uninformed, the very dumb or the feebly sentimental will be taken in by Mr. Nkomo's exaggerated claims which follow a distinct line, traceable to the Lupane murders on December 5, 1976, when a member of Nkomo's terrorist group, Albert Sumne Ncube, killed Bishop Adolph Schmitt, Father Possenti Weggarten and Sister Maria Francis, on a road near Lupane. According to Sister Ermenfried, the only survivor, the terrorist denounced the missionaries as "enemies of the people" before opening fire. Ncube, who was later captured by the police, admitted these and other murders as well as undergoing terrorist training in ZAPU camps in Tanzania. He subsequently escaped from custody, however, and may have returned to Zambia. On Sunday, December 19, 1976, a group of Mugabe terrorists from Mozambique slaughtered 27 defenseless African workers on a tea estate in the Honde Valley in front of their wives and children. They then withdrew to Mozambique. On Sunday February 6, 1977 a group of 12 Mugabe terrorists murdered Father Martin Thomas, SJ, Father Christopher Shepherd-Smith, SJ, Brother John Conway, SJ, Sister Epiphany Bertha Schneider, OP, Sister Joseph Paulina Wilkinson, OP, Sister Magdala Christa Lewandoski, OP, and sister Ceslaus Anna Steiger, OP, at St. Paul's Mission, Musami. According to Father Dunstan Myerscough, SJ, who survived, together with Sister Anna Victoria Reggel, OP, the murders were "obviously the result of Russian indoctrination. In my opinion, if you want proof the Communists are behind this, come to the mission. The terrorists must have been got at to have that brutality in them." He said he had no doubt of the terrorists' culpability. Apart from the fact that all these brutal slayings took place on Sundays, thereby indicating that they were planned operations rather than irresponsible acts of folly, as has been claimed by embarrassed terrorist supporters, it is important to note that in all cases the survivors or witnesses were under no doubt whatsoever that the culprits were terrorists belonging to either the Nkomo or Mugabe factions. The terrorists' culpability was proved beyond any doubt when security forces found an incriminating diary in the possession of a slain terrorist. He described in full how his group had slain the missionaries and how a number of other civilians had been murdered farther afield, concluding: "We were very lucky". It is a tragedy to be looked at against the background of the whole situation and the people of the Smith regime who are causing the continuation of the war. Selous Scouts do this sort of thing to make the guerrilla movement unpopular. He did, however, call for an international inquiry into the Honde massacre for which his uneasy partner, Mr. Mugabe's followers were responsible. We are not capable of such inhumanity (as the Musami murders). After all, we are fighting a progressive war which is aimed at mobilizing all the democratic forces capable of lending support to the Revolution and all along we have been working very harmoniously with all the church organizations. A Similar line has been adopted by Radio Maputo, the Zambian "Daily Mail" and other channels expressing the views of the "frontline" Presidents. Coupled with these accusations against the Selous Scouts were "authoritative" reports by leftist journalist David Martin and a deserter from the Rhodesian forces who peddled his story in London. Quoting nationalist sources, Martin, based in Lusaka (undesirable in Rhodesia), reported in The Guardian that "there can be no doubt that the Selous Scouts had been involved in the recent atrocities''. The deserter claimed that he had in fact overheard members of the Scouts planning and discussing the atrocities. Adding to the barrage, Botswana claimed at the beginning of May that Rhodesia had been linked to the killing of two people and the wounding of 80 others when a Russian-made hand grenade was tossed on to a crowded dance floor in Francistown. 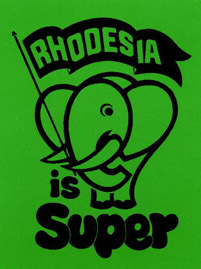 Stating that a Rhodesian colored had been arrested in connection with the incident at the Mophane Club and condemning the bombing as an "act of sabotage and barbarism," the office of the Botswana President said seven Black Rhodesians had been arrested. The statement said the Rhodesians, in refugee camps in Francistown and Selebi-Pikwe, had admitted being members of the Selous Scouts sent to spy on refugees. They had entered the country as refugees but when they were questioned by the police they admitted that they had been sent by the Rhodesian Government to spy on the situation of the refugee camps for possible attacks. Later reports said the seven Selous Scouts had asked for political asylum and that they had been allowed to travel to Zambia. Without positive proof, Mr. Philip Steenkamp, Permanent Secretary in the Office of the President, said he believed the explosion was connected with Rhodesia's crack anti-guerrilla Selous Scouts unit. The seven "defectors" will no doubt be paraded in front of the world press to add further evidence to mounting Selous Scouts dossiers. Fact or fiction, the lie is gaining impetus and the impact is bound to be the same. Reading into Marxist intentions, the Selous Scouts will be hounded ruthlessly to single them out as the best ''horror cast" in the business. The eventual aim of course, is to discredit them in the eyes of both White and Black Rhodesians with the ultimate hope of sapping them psychologically and creating a public outcry against their "murderous'' ventures. 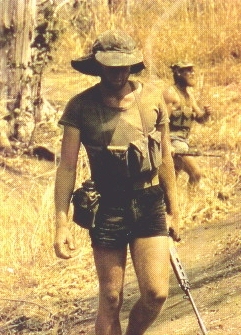 For it is common knowledge that the Rhodesian security forces cannot pursue the war successfully without the unique qualities of the hand-picked Selous Scouts. In purely military terms the terrorists cannot improve their position and the Selous Scouts have proved to be their enemies in more ways than one. Understandably bitter about the terror accusation against its crack unit and lest it should be accused of attempting to conceal the ''awful truth", the Rhodesian Government recently reacted by lifting, for the first time, the cloak of secrecy which has surrounded the Scouts since its inception as a tracking combat unit in October 1974. A small group of international newsmen were allowed access to their training base where, for the Scouts, it all begins. Here journalists understood the terrorists' dilemma when they were told that by March 1977 conservative estimates were that the Selous Scouts had accounted for 1,205 terrorist kills, losing a mere ten of their own men. By any means a remarkable record. It is an appropriate motto - because the grueling selection course here "kills off" more recruits than those who survive to finish successfully. 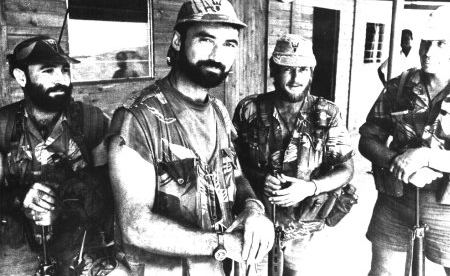 That any of the recruits survive the training period at all seems a minor miracle, but they do and subsequently become the Rhodesian answer to terrorist infiltration. Principally they are taught to kill and survive and, in training, are pushed to their physical limits. Rations are cut to one sixth of that given to a man on normal active service. It is therefore appropriate to describe the grassy encampment as the selection and tracker-training headquarters of one of the most specialized and toughest fighting forces ever seen. 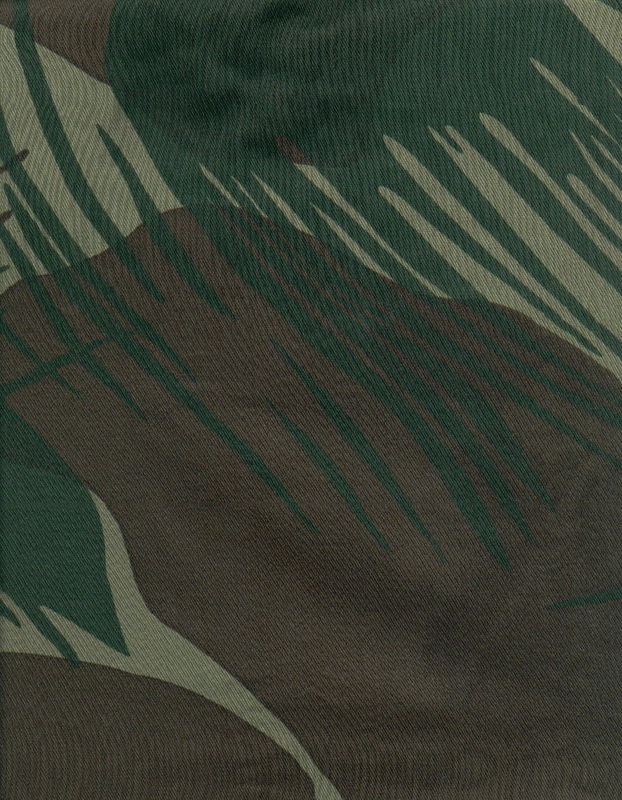 Shrouded in secrecy with a mystique that spawns a thousand stories, many true and most mere rumor, the Scouts have in only two years become the most-decorated outfit in the Rhodesian security forces collecting along the way amongst many other awards - six Silver Crosses (the highest award for gallantry yet presented); 11 Bronze Crosses; six orders for Members of the Legion of Merit for acts of bravery, seldom reported, but which have all played a major part in fighting the country's terror war. 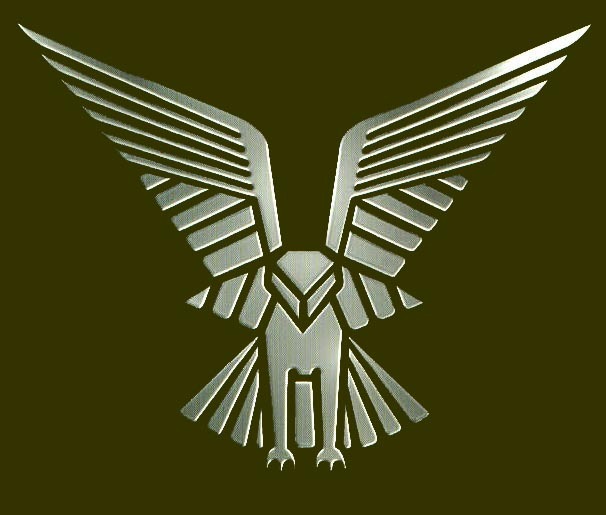 The officer commanding the Selous Scouts, and the driving force behind it, is Major Ron Reid-Daly, a 47 year old regular soldier who was once regimental sergeant- major of the Rhodesian Light Infantry, known as "The Incredibles." He learned his job with the British Special Air Service in Malaya after leaving his native Salisbury in 1950 to go to England, and he served with the SAS during the Communist terror war there in the early 1950's. I reckon in most armies today I simply wouldn't be allowed to put these poor bastards through the kind of selection course we give them. They'd think I was trying to kill the men who volunteer to join us. I agree, there is something of the prison camp attitude towards our men under selection and training. We take them to the very threshold of tolerance mentally - and it's here that most of them crack. You can take almost any fit man and train him to a high standard of physical ability. But you can't give a man what he hasn't already got inside him. Under selection each man is reduced to below a threshold which the average human being could not endure. He is virtually "dehumanized", forced to live off rats, snakes, baboon meat and eyes, to survive in hostile surroundings which prove that nature, too, can be as deadly as any human enemy. And they are taught to live off nature, to drink from the water in the carcass of a dead animal - a yellowish liquid - and to eat maggot-ridden green meat which can be cooked only once before becoming deadly poisonous. The Selous Scouts have for the first time admitted that they have been used on hot pursuit raids into Mozambique including the highly spectacular and tactically successful raid on the Nyadzonya terrorist training camp last August in which over 300, and possibly more than 500, terrorists were killed. We do not consider ourselves an elite group of men, nor do we think we are of the highest caliber. It could cause the men to imagine themselves better than they really are and this could in turn lead to recklessness. We are simply just trackers out to do a job. We take a chap right down when he first comes here, right to the bottom. And then we build him up again into what we need in the Selous Scouts. Some people might say it's a dehumanizing process, and maybe it is. But as far as I'm concerned, that's the way it has to be if we have to keep this unit up to standard. I have heard of all sorts of so-called crack outfits becoming nothing more than shadows of what they were because of a lowering of standards to increase the numbers of men going through into combat. And I'm determined not to let that happen here. Everything is of some use to you in the field. The more you get familiar with it, the better your chance of survival. The ignorant person bumbles into trouble wherever he goes. Certain birds give your presence away. Butterflies, which some people see as nothing but pretty little insects, are a potent indication of water in the winter months. We aim to make our students at home in the environment in which they work. Vegetation not only provides them with food in times of need. It plays one of the basic roles in tracking. And certain trees are used medically. The marula gives the best anti-histamine you can find. Editor: The breakdown and build-up training technique used for the training of the Selous Scouts appears to be very similar to that used by the Portuguese for the training of their Commandos. ***NOTE*** Source of this article was obtained from the magazine ARMED FORCES, May 1977,Rhodesia's Selous Scouts by Chris Vermaak.